Greetings brothers and sisters in the faith. 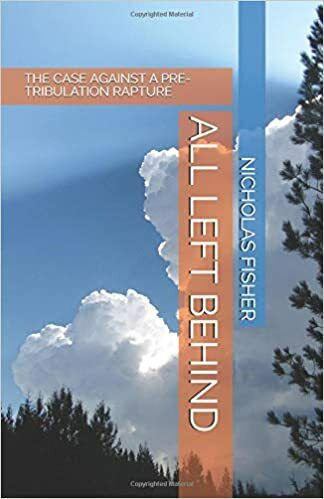 None of us has been “left behind” by the rapture-yet-so we still have time to read up on it! Did you ever wonder if what people say about the rapture is true? My new book is the result of years of soul-searching and scripture study on the subject. Posts on this blog published over the past few years formed the foundation of the book, which contains far more insight and detailed commentary than all the posts put together. I believe I’ve also made the whole subject much more understandable than I did before.